Mr. Ryder's practice focuses on Retail Hospitality, Construction, Business Litigation and Counseling, and Transportation. Mr. Ryder was inducted into the American Board of Trial Advocates (ABOTA). 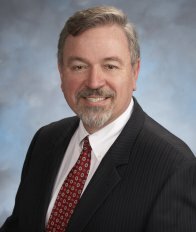 He is a member of the Los Angeles Bar Association, Orange County Bar Association, Clark County Bar Association, Association of Southern California Defense Counsel and the Defense Research Institute. He is a member of the University of Santa Clara Alumni Association, the University of San Diego Alumni Association and judges law student competitions at a number of Universities. He is also a volunteer teacher with the ABOTA Jury Trial Education Program. Trial results include: Hayes v. New Albertsons, Inc., wherein he successfully defended a truck driver client in a wrongful death case in Orange County, California. In Sykes v. Albertsons, he defensed a personal injury case on behalf of the supermarket involving a 69-year-old woman with an alleged claim that a beer case falling on her head led to multiple closed head injuries in Orange County, California. In Gruber v. Waechter, Hursman, Spectrum Med Systems, he was lead counsel on a case assigned to his firm 10 days before the 5th scheduled trial date, after all discovery had been handled by a solo corporate attorney with no litigation experience. Four plaintiffs had sued the designer and manufacturer of a unitary catheter system over a contract dispute. After one juror swayed the panel into a large verdict completely unsupported by the evidence, the court recognized the impropriety of the verdict and granted a new trial, at which point the plaintiffs settled the action for $81,000 versus the $5.6 million sought. Mr. Ryder's aggressive litigation work has resulted in numerous positive resolutions. In one case, he obtained a successful outcome for the City of Hermosa Beach, California, after a plaintiff argued the City police officers were responsible for not fully investigating the scene of a fall and paramedics misdiagnosed plaintiff's head injury, leaving plaintiff with brain damage following the surgical evacuation of a subdural hematoma. The prevailing summary judgment motion was based upon causation and discretionary immunities. In another case, Mr. Ryder defended a Las Vegas supermarket in a third party criminal assault case in which plaintiff alleged emotional distress and psychological treatment after surviving a shooting rampage at the store which left four employees dead and a fifth employee seriously wounded. His work resulted in one of the very few summary judgments in this area of law in Nevada under the "totality of circumstances" rule. Mr. Ryder's interests include scuba diving and digital underwater photography, snow skiing, travel, jazz music and he is an amateur piano player. He also is a fan of several sports teams, including the Angels and Lakers.